‘Acta Militaria Mediaevalia’ is a peer-reviewed journal and declares adherence to the highest ethical standards of publication. All articles contradictory to them will not be published. All cases of plagiarism will be reported. The authors declare that they are the original authors of the work and that the paper has not been directed for publication elsewhere. In order to preserve the principles of reliability and the quality of scientific work, the editorial board of the journal introduces procedures aimed at placing barriers to the cases of ‘ghostwriting’, ‘ghost authorship’ and ‘guest authorship’. The author submitting the manuscript is obliged to provide information on the contribution of other authors or collaborators, and declares that any parts of the text taken from other authors or sources will be properly described. The submitted publications are evaluated first by the Editorial Board, which analyze the paper in terms of formal, technical and substantive. The editors reserve the right to refuse publication of the article in a situation when the initial assessment is too unfavorable in relation to the editorial assumptions. By submitting a paper for publication to ‘Acta Militaria Mediaevalia’, the authors agree to the review process. Materials proposed for publication are forwarded to reviewers for opinion, provided that they have not yet been published in another publishing house and have not been submitted to other editorial offices. Editors provide articles for review, trying to avoid any conflicts of interest between authors, editors and reviewers. They also guarantee that all information related to the submitted texts is confidential prior to their publication. The papers are then reviewed by two reviewers, specialists in a this field, who are not a member of the Editorial Board. The texts may not be reviewed by persons who may be in conflict of interest with the author. The review procedure is carried out in accordance with the rules of confidentiality and is bilaterally anonymous (eng. double-blind peer-review). Reviewers evaluate texts only on the basis of their content. Reviewers are not allowed to use knowledge about the work before its publication. If they feel that their qualifications are not sufficient for proper assessment of the theses presented in the publication, they should inform the editor and resign from undertaking the reviewing process. At the same time, the Editorial Board, on the basis of its own opinions or reports submitted by reviewers, reserves the right to propose amendments, the implementation of which depends on the final decision on publication. After final approval for printing, the text is subject to substantive and linguistic editing as well as adjustment. Articles and any other materials published in “Acta Militaria Mediaevalia” represent the opinions of the author(s) and should not be construed to reflect the opinions of the Editor and the Publisher. Paper version is a primary version of “Acta Militaria Mediaevalia”. All authors of papers submitted for publication in ‘Acta Militaria Mediaevalia’ are obliged to sign editorial agreement with the Historical Museum in Sanok. A. Paper Evaluation Criteria Scale: 0-5 pkt. 2. Does the summary correspond to the content of the paper? D. Information for Editors of ‘Acta Militaria Mediaevalia’, concerning the decision to accept the paper (the comments will not be disclosed to the Authors). – Chronicle – text’s size – only up to 5 pages; reviews of books about medieval arms and armour; reports from medieval armour’s conferences and exhibitions; obituaries, etc. – all submissions are considered by the Editors in the first instance. Suitable papers are peer-reviewed. – Authors will receive a proof of their article as a PDF file. Please note that only typographical or factual errors may be corrected at proof stage. – articles should be written only in MS Word (Windows) or Open Office (Linux), but files must be saved in Word format (doc., rtf); column’s size A4 – 210×297 mm; font Times New Roman, format 12 points, 1,5 space between the lines. – Contents of plates should be listed in a separate document. 2002 Dzieje rzymskie, translated by I. Lewandowski, Warszawa. 2006 Księga czynów Ardaszyra Syna Papaka, translated by T. Gacek, Kraków. 1984 Miecze środkowoeuropejskie z X-XV w., Warszawa. Ginalski J., Kotowicz P. N.
2004 Elementy uzbrojenia i oporządzenia jeździeckiego z grodziska wczesnośredniowiecznego „Horodyszcze” w Trepczy, pow. Sanok, stan. 2, Materiały i Sprawozdania Rzeszowskiego Ośrodka Archeologicznego 25, 187-257. 2004 W poszukiwaniu łuku refleksyjnego – możliwości interpretacji na przykładzie znalezisk z Ostrowa Lednickiego, [in:] Wędrówki rzeczy i idei w średniowieczu, Spotkania Bytomskie 5, ed. S. Moździoch, Wrocław, 313-333. 1966 Дpeвнepyccкoe opyжиe. Выпуcк 2. Кoпя, cyлицы, бoeвыe тoпopы, бyлaвы, киcтeни IX-XIII вв., Apхeoлoгия CCCP. Cвoд apхeoлoгичecких иcтoчникoв Е1-36, Мocквa-Лeнингpaд. 2000 Вооружение и военное дело Хазарского каганата, Восточноевропейский археологический журнал 2 (3) (access to article on site: http://archaeology.kiev.ua/journal/020300/komar_sukhobokov.htm – access 17.08.2006). 2002 Wczesnośredniowieczne uzbrojenie na Lubelszczyźnie (VIII-XIII w.), Lublin (typescript of M.A. 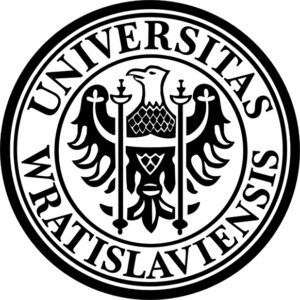 thesis in Institute of Archaeology of University of Maria Curie-Skłodowska in Lublin). Please use only the abbreviations which are listed every volume of Acta Militaria Mediaevalia. – photos must be scanned at a minimal resolution 600 DPI in TIFF format. An article should be delivered to the editorial staff on e-mail adress amm@gmail.com. Because of the fact, that we must keep cyclical edition of following volumes “Acta Militaria Mediaevalia”, texts will be accepted only to the 30 December every year. Authors will receive one copy of the journal and article in pdf format.